Home → News → Talking Turkey: Which Turkey Call Should You Choose? Talking Turkey: Which Turkey Call Should You Choose? If turkey hunting is on your agenda then you finding a turkey call could help you on your hunt. Let’s be honest, there is no one turkey call that works every single time to attract turkeys in. If there was, there wouldn’t be so many different calls out there. However, what you will find is hunters, each who swear by a different call device. If you don’t have a favorite, that’s okay, too. Actually, it is better because you open yourself up to trying all the calls out to find out what works for you. If you are looking for calls, there are three popular options. Of course, these three options – the box, pot and striker, and diaphragm calls – are popular because they produce results. So what sets them apart? There are a number of different models of box calls out there, but the old paddle-shaped model is timeless and reliable. Why people choose the box call over other types of calls is because it produces some of the most impressive volumes. Due to its boxy shape, the box call can actually highly amplify clucks so they can be heard at some distance. However, as well as being loud, the clucks in a box call can actually be pretty soft too. However, despite being able to make a number of different sounding calls, it takes a fair bit of time to master. If you are just beginning, the standard yelp will pretty much be your wheelhouse for awhile. The one downside of a box call is that they strongly rely on their material. If anything, the chalk or the wood, get wet during your hunt, it won’t work as well. This is why box callers almost always have a backup. Also known as friction calls, the pot and striker are likely one of the first calls you will master if you are just starting turkey hunting. It requires the least amount of practice to get realistic calls out there. Because the whole thing is pretty compact, it is also easy to pack, and, because they can be made from so many different materials, it can withstand a number of conditions. 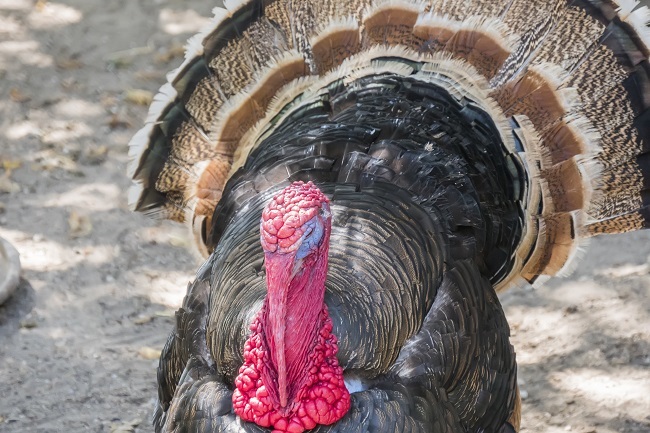 You might find a number of turkey hunters who carry a few different pot and strikers, not because they need backups, but because they use each one to produce a different type of cluck or purr. While some pot and strikers have the same downside as the box call, meaning you can’t get them wet. There are some that work in any conditions. The real downside is that you need to move the pot and striker for it to work. This means moving from your spot, and thus more of a chance for the bird to spot you and spook. The diaphragm call, or mouth call, is becoming increasingly popular. As it goes right in your mouth and uses air, not friction, to produce sound, it doesn’t have the downsides of the box or pot and striker calls. They are also some of the more affordable calls on the market as well. However, while you can learn to make a wide variety of different noises and they don’t require any movement in your blind, they have the highest learning curve by far. It takes a long time to learn to use a mouth call correctly, but it is something you can practice easily while doing pretty much anything. However, if you are willing to put in the practice, a diaphragm call will be the only call you will need. Unfortunately, there are veterans out there that still can’t use one to the fullest ability, but definitely, don’t let that dissuade you. For more hunting tips and how to show off your haul as a hunter, contact us today.